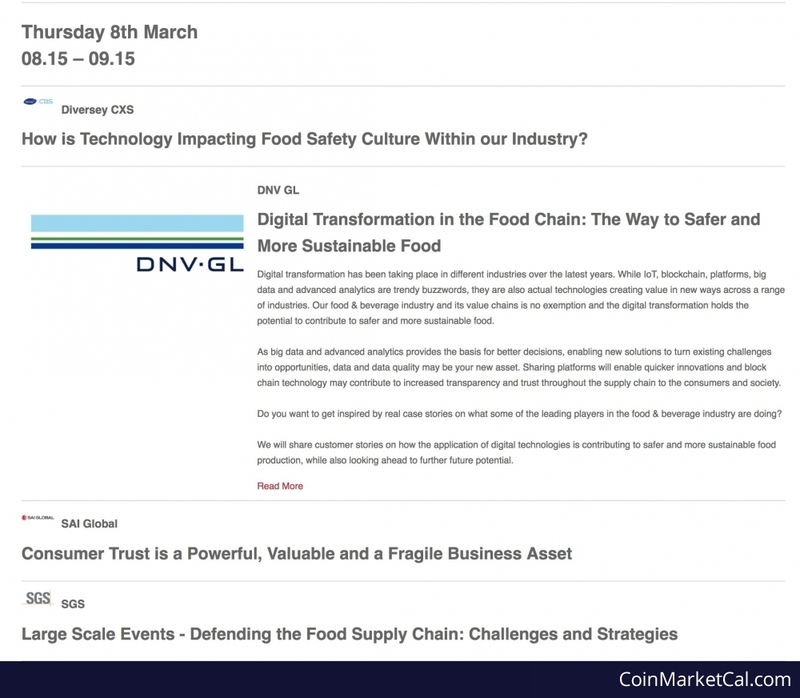 VeChain (VET) - Global Food Safety Conf. Sunny Lu & Luca Crisciotti announce first application for food industry at Global Food Safety Conf. in Tokyo, 08:15 UTC+09:00 8th of March.